Most residential construction projects begin with homeowner desires. One family member might want a beefy, over-sized garage that will double as a workshop and in-house sports bar. The family cook may want to open the kitchen and add a luxurious walk-in pantry. Aging parents might ask the homeowner to add an accessible suite for them to move into. All of these ambitions take money. As exciting possibilities are illuminated and new ideas encroach on initial needs, the project budget can easily run unbridled. Uncontrolled budgets are a leading cause for abandoned residential projects. Here are three tips to help keep your budget in check. Tip 1: Hire a construction firm with in-house design and estimating teams. Graham Builders’ clients work directly with an architectural designer who frequently refers with the company estimator. This allows everyone to be aware if costs rise. Tip 2: Account for hidden costs such as antiquated electrical and plumbing or poor soil conditions. With nearly three decades of experience, Graham Builders has the expertise to identify such situations and alert homeowners so they can set money aside from their budget and not be surprised or caught with insufficient finances. Local design+build contractor Graham Builders has guided hundreds of satisfied homeowners through successful projects for nearly three decades. 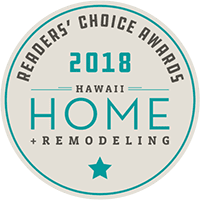 Homeowners interested in learning more about budgeting and the ins-and-outs of home construction are invited to attend Graham Builders’ upcoming “Building Your Home for Life” seminar on Saturday, Nov. 3 from 9 to 11 a.m. at the Honolulu Country Club. Seminars are free. Reservations are required. Visit grahambuilders.com or call 593-2808 to register.